Odds and Lens turns more “odds” than “lens” these days – I’ve been significantly swept away, both from my main work and from the “divertissement” I had devised for myself here, by a new project which involves a great deal of archival hunting and interpretation work that are slightly different from those I was acquainted with through my daily practice as an early modernist. 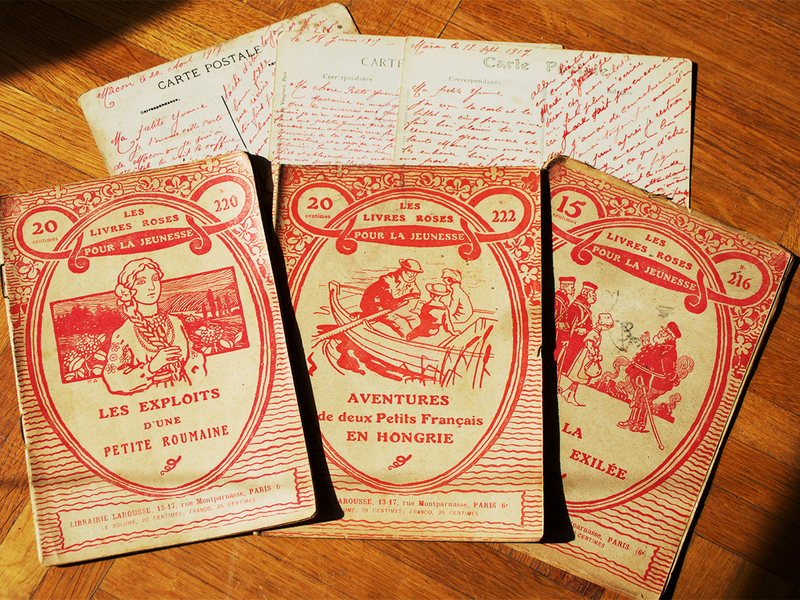 Surprised by the profusion of personal papers that can be found in French antique and flea markets – and I’m not talking about writers’ and other famous men’s manuscripts – I started doing serious reading sessions upon my visits to these most popular (especially in this season) events. Each time I was lucky enough to find series of private correspondence (letters, post cards, one diary) written by or addressed to the same person. I was also lucky enough to find sellers who kindly made it possible for me to acquire the whole collection, or the most significant part of it, which is all to their merit, given my limited investment means and the tough rules of the market of collectibles: postcards are usually sold by piece, and classified according to the iconography or the value of the stamps, not in the least taking into account their being marked by the same signature or by the same recipient’s name. While some kind of sense of a mission emerged from this – to save memories from being lost – I must admit that much of what drove and keeps driving me in this project has to do with the pleasure of the detective game involved in establishing identities and reading life stories from fragments. Long searches through civil, census and military records followed, and I am planning to visit the places “my” people come from in order to better understand their stories. 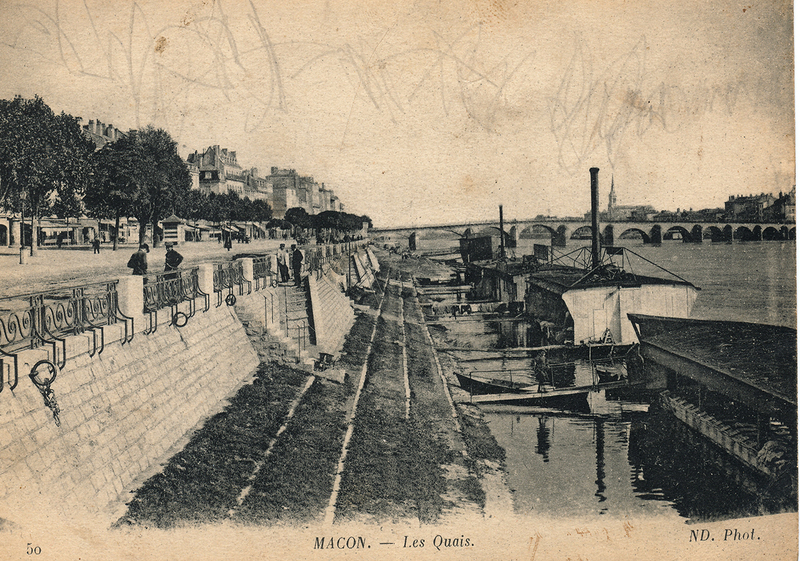 There will certainly be a photographic extension to this – and the chance nature of archival findings will secondarily guide both my discovery of France and the photographic projects which I was planning to post here. Despite an upbringing which, in my household as well as in my formal education, had military values at its core, I was never interested in war in a scholarly way. Yet this interest in chronicling anonymous lives brought me much closer to the topic than I would have ever imagined: because war and the tragic separation it imposes on people forces them to write. Take for instance the corpus of letters and postcards which compose my latest acquisition: they go from 1915 to the late 70s, but they become densified around three events, WWI, WWII, and the military service of the youngest member of the family in the 50s. 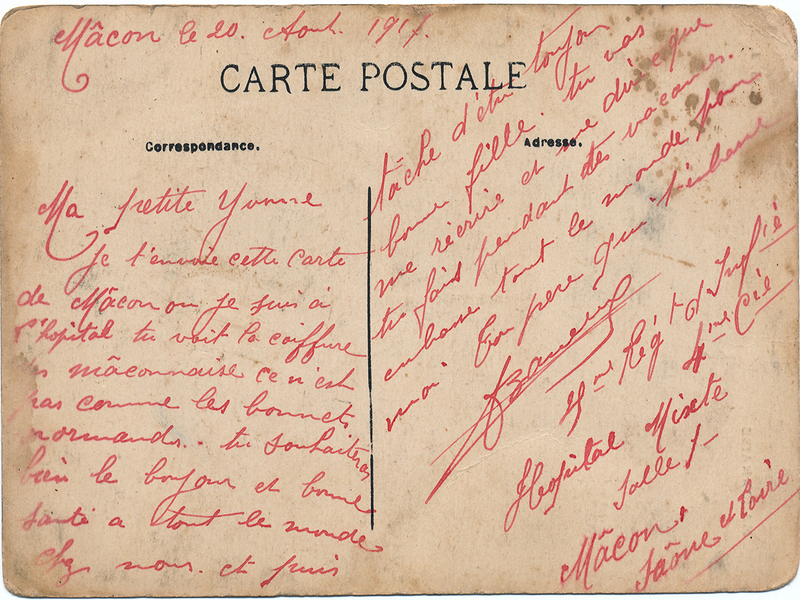 There are the letters that Yvonne, the deceased owner of this correspondence, received from her father during the First World War, those which she received from her husband in 1939 (her husband, André Bosset, being, as I was to find out later, the author of a book on the Normandy landings as lived by his city, Percy), and the letters they both addressed to their son, Jean, during his military service in 1953-1954. I am not trying to sing praises to war for bringing into the present so many voices that would have been lost otherwise; my intent is to simply emphasize the necessity of using this archival treasure, and not solely for the purpose of writing a history of the wars. 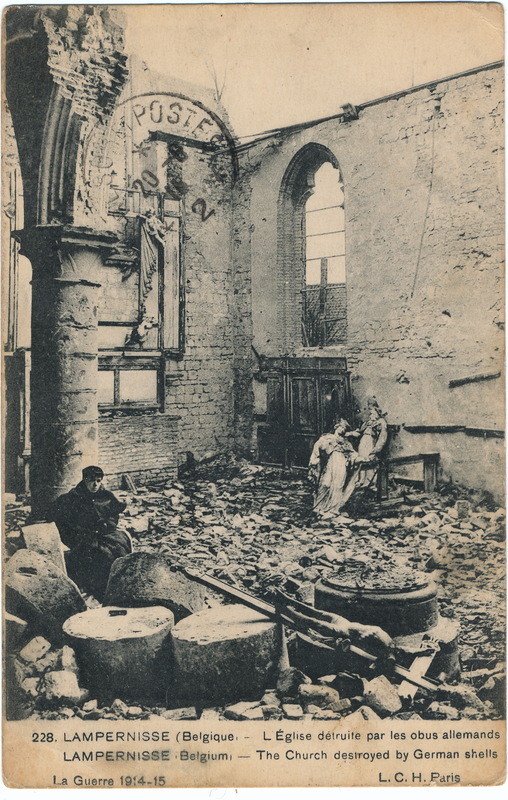 Despite the sometimes horrific imagery of the postcard, the tone is usually warm and optimistic, and it transforms war into one big excursion, with endurable hardships which are soon to be over. Half of this set of postcards is written in red ink – and although this might seem a detail, I allow myself to draw your attention to it. It is striking to see that paternal affection and the ever-threatening context of war meet in the red ink. The blood lineage, the danger of losing one’s life. Love and death graphically united. And what a surprise to discover that Yvonne’s library comprised a significant number of stories from the series of Les livres roses de la Guerre, meant to give an idea of the global war to children roughly between 12 and 16. And how interesting to discover, in this new layer graphically dominated by the red colour, a war story about my native Romania, Les exploits d’une petite Roumaine ([A young Romanian girl’s exploits]). It will be informative to read through these volumes and try to imagine what war was presented (and looked) like for Yvonne and other children her age who were experiencing it through their parents’ absence and brief written testimonies. The connecting thread (le fil rouge) will end up bringing out the story from fragments. I’m glad you read this, Julian. “Les livres roses de la guerre” is a period-specific sub-series of a much bigger collection (http://www.papy-dulaut.com/article-larousse-les-livres-roses-pour-la-jeunesse-109024600.html). Children’s literature with a supplementary dose of adventure. But yes, it does create quite a contrast! As for the horrific imagery, I was thinking about pictures of ruined buildings. I don’t see a way to add one in my comment; I promise I’ll make an addition to the blogpost. 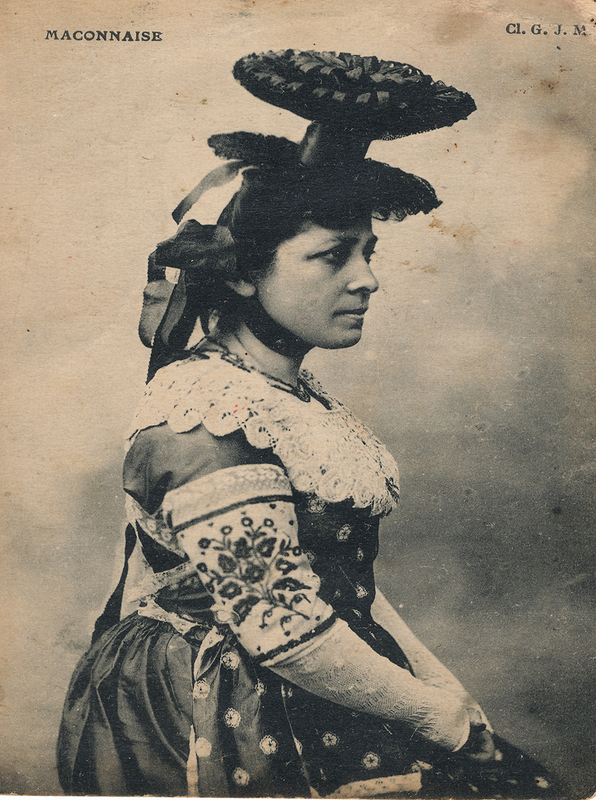 I love that headgear, I’m going to look for one! Of course I hadn’t considered that this was before pink had come to be associated exclusively with girls. Good luck with the headgear hunt. It does look like something that might be featured on a contemporary fashion runway! Thanks! I may check it out if I’m downtown around then.